Have you proven yourself to be a marketing expert with a hands-on mentality that doesn’t sheer away from a challenge? Then perhaps you are the person we are looking for within our team! Brief creative agencies, design direction of advertising, brochures and sales collateral. You are employed by the Plugged Group, which results in working for both Plugged Live Shows as The Fireflies. You will have the opportunity to build the marketing department from the start. 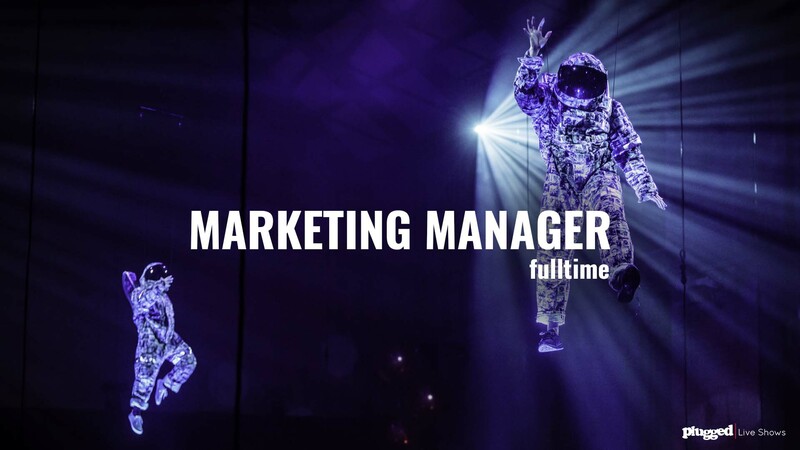 Together with the Commercial Manager of The Fireflies and the Business Developer of Plugged Live Shows you apply the marketing strategy through sales as well. You directly report to the CEO of Plugged. As a young and developing enterprise, based in the always sociable Breda (North Brabant). We are specialized in conceptualization, creation, and production of Live Shows worldwide. We function both as an independent supplier and as an extension of the creative team within (international) creative and event agencies. We create moving live shows that unite and inspire audiences. From the reasoning and the concept to the final music piece, composed in our own in-house studio and the costumes: all is custom-made. Last but not least, a competitive salary. Curious? Surprise us with your application!